Since I only had a few hours for bead shopping, I didn’t get the chance to go everywhere I wanted. Also, since it was Sunday, several shops weren’t even open. But, I did happen to find two great shops that were open. 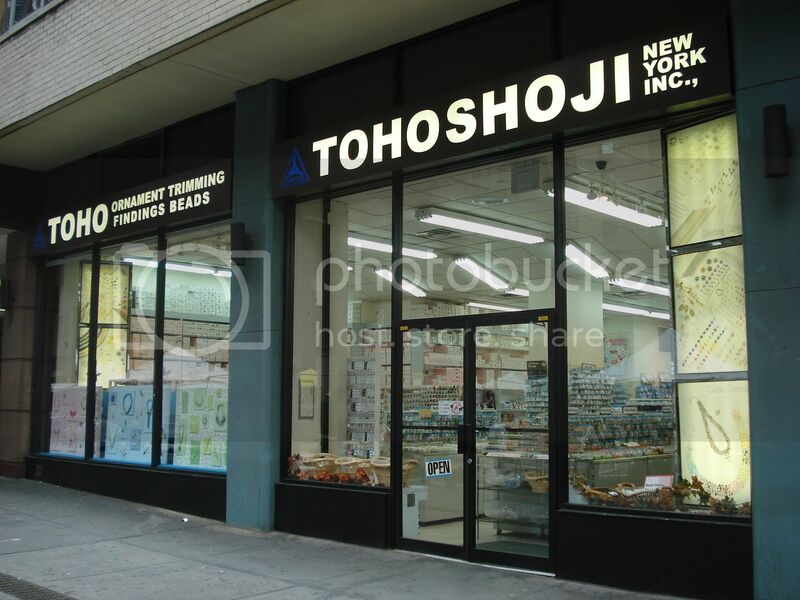 The first was Toho Shoji located at the edge of the Garment District on 990 Sixth Avenue. In addition to their New York location, Toho Shoji also has several shops in Japan and two shops in China. 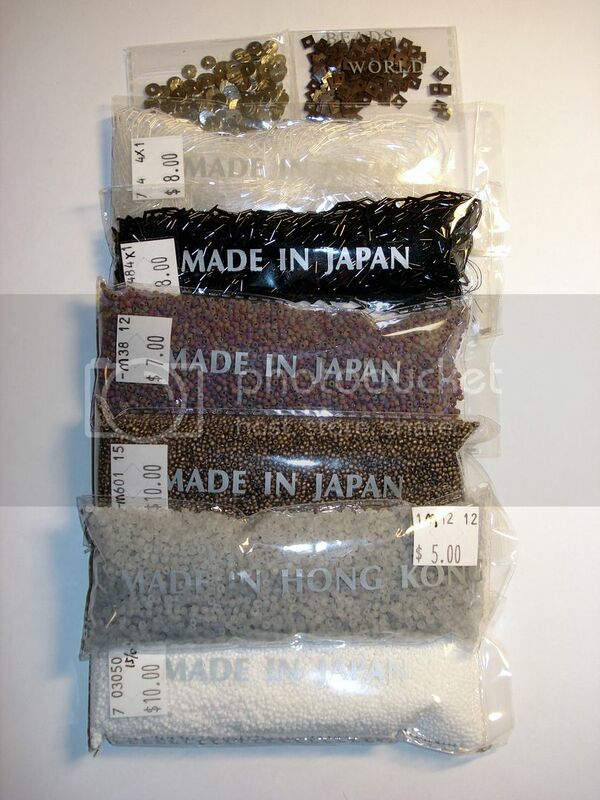 They carry Japanese seed beads in both large and small quantities, as well as an acrylic & metal beads, crystals, sequins, and an abundance of findings to make just about anything your heart desires. This shop sells retail & wholesale, and their prices are very reasonable! 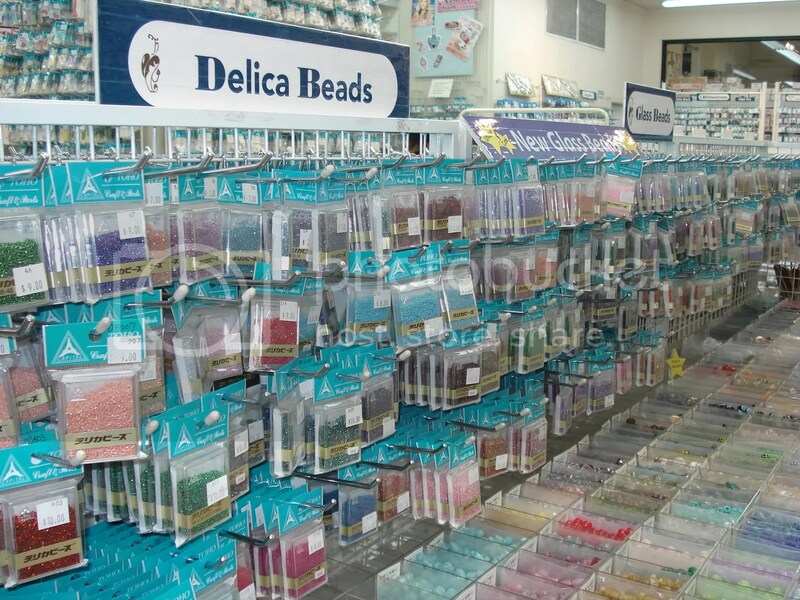 I found some Matsuno size 12/o seed beads (which my local bead shops do not carry), and I also picked up a few boxes of Delicas. 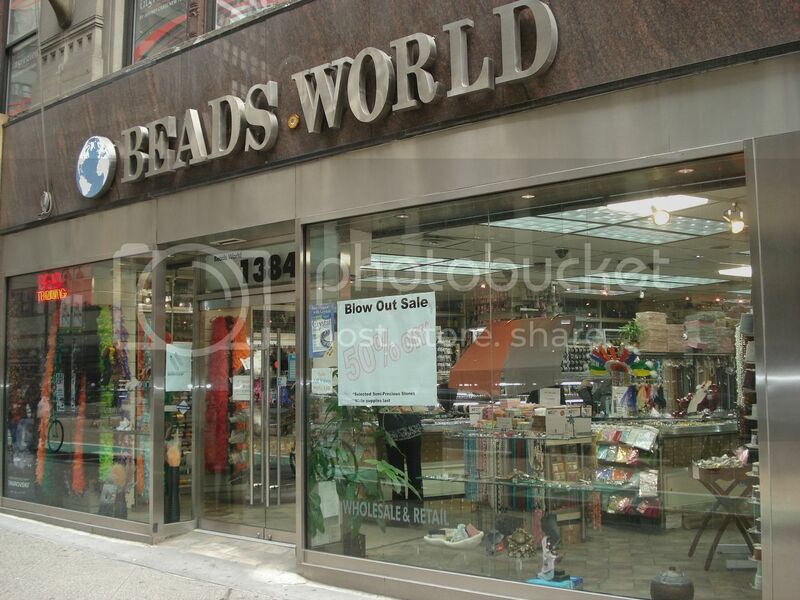 The next shop I visited was Beads World located on 1384 Broadway between 37th & 38th Street. I thought I had seen it all when I went to Toho Shoji, but I was even more impressed with Beads World. 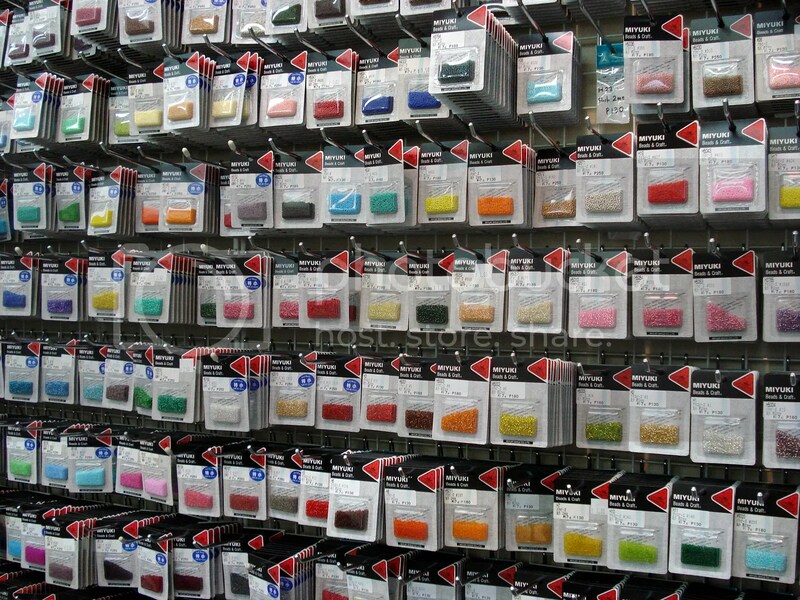 They have quite an assortment of seed beads available in every colour of the rainbow! 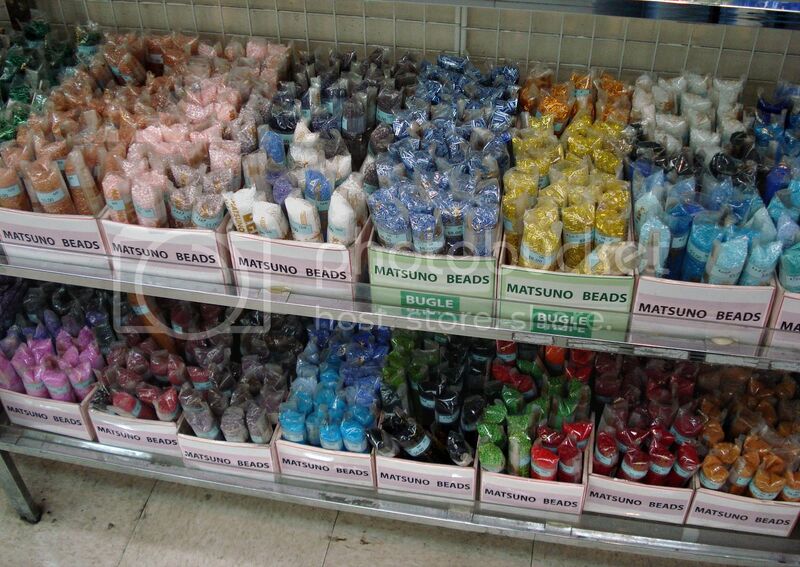 I enjoyed Beads World because they also sold tiny size 15 Japanese seed beads in large quantities. They were a little hard to find because they were mixed in with the size 12s, but they are there. 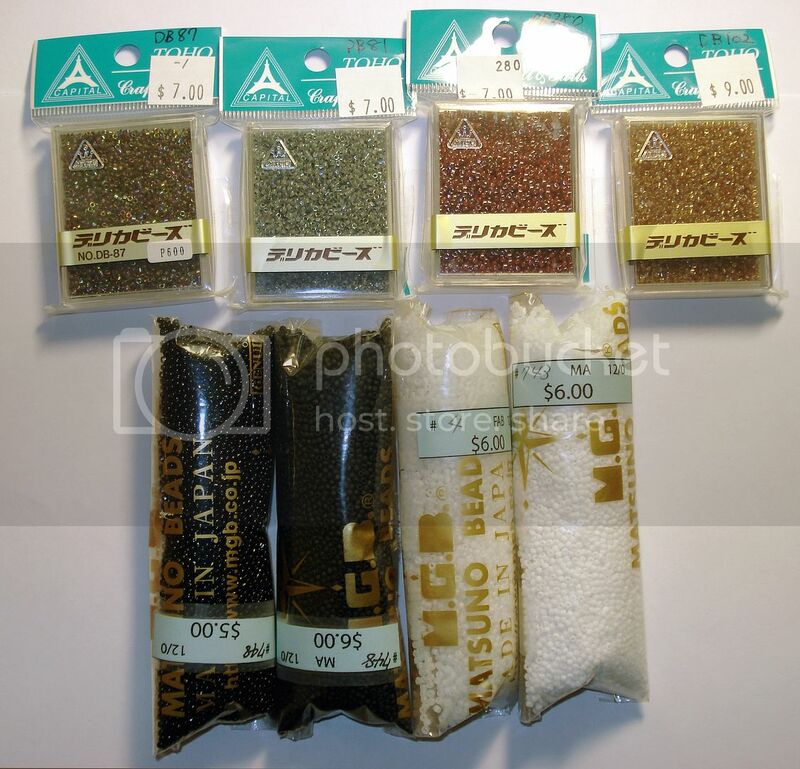 There are also many packages of seed beads which originate in Hong Kong. I normally will not buy Chinese beads because they are generally poor quality, but these seemed to be different. I picked up one package of gray beads just to try them out. I also found some fascinating 1x 4mm bugle beads in black and white. (I had never seen bugle beads that small before in my life!) I also found some cool metal beads which I hope to use on my beaded cars & vehicles at some point. You might want to check out ROCK STAR CRYSTALS. Although they are not a technically a bead shop, they carry thousands of individual crystals and clusters for custom-made jewelry. >I am so happy to find this entry about buying seed beads in NYC! I am looking everywhere, and people said "oh, it's best to buy online" but I need to match colors and you even included photos of the stores and the beads! And address links… thank you so much! You have helped make this trip a real success. Yours, Catherine Todd on behalf of Guatemalan Arts & Crafts. >I used to love beading! I used to make my own beaded dragons. I never knew there were such LARGE stores! >Wooooaaaa!! This shop is fantastic! I haven't made a beaded necklace since my childhood (except a few big wooden beads necklaces with my little daughter). There is a world to it, as I can see here!Your works are stunning! You are giving me some inspiration, thank you! Who wants to see Abstract Art Paintings? >This is a very nice blog… I can see that you put a lot of heart on your posts, that's why I'm sure I'd visit here more often. Anyway, if you have time, you can visit my blog as well, Abstract Art Painting / Buy Abstract Art. See yah! >Wow there must be every bead ever designed there. >always love your work and that look like a fantastic place to shop! >NYC = bead heaven. Glad you were able to visit. 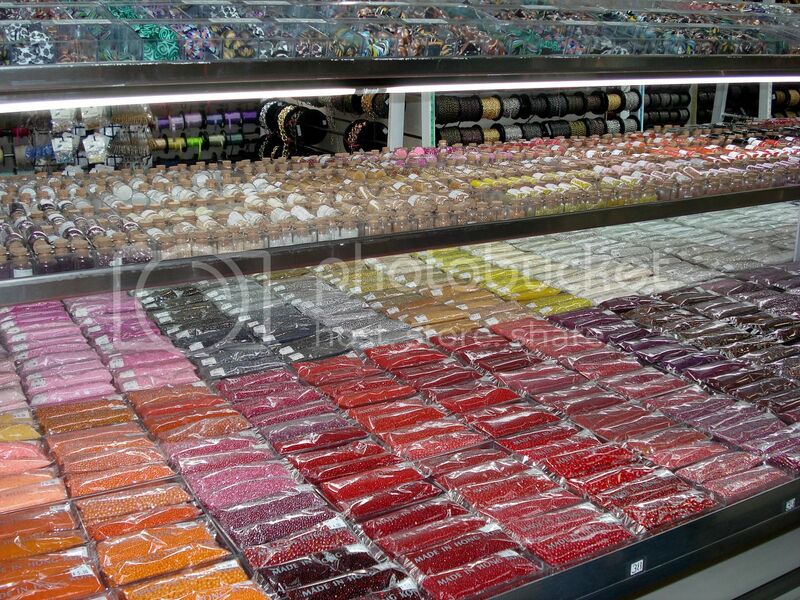 >Great post, loved your photos of the bead stores! >All I can say is "Droooool". You could definitely go into overwhelm in either store. >Looks overwhelming and very fun at the same time!